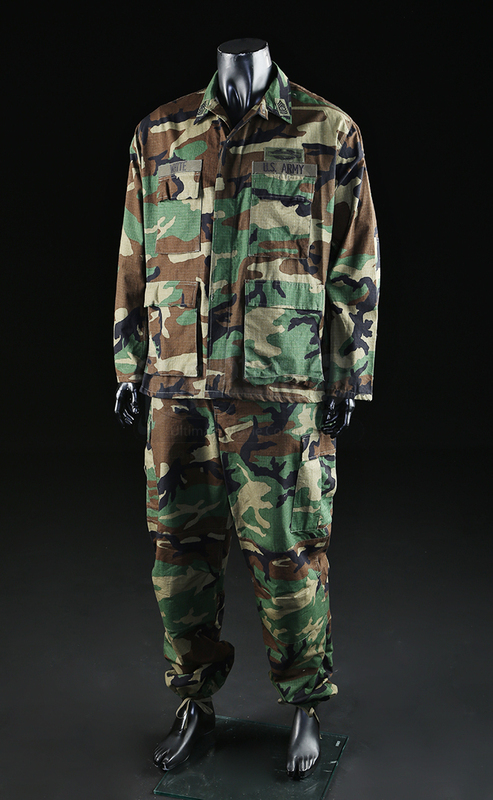 Paul Brenner (John Travolta)’s camo costume from Simon West’s 1999 crime drama The General’s Daughter. 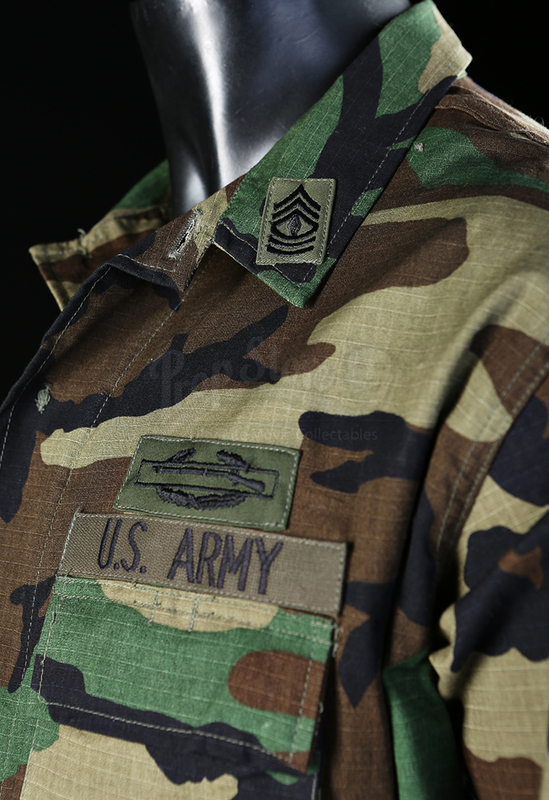 The movie follows the thrilling mystery of an undercover detective (Travolta) who is summoned to West Point to look into the murder and cover up of the daughter of a well-known and respected base commander. 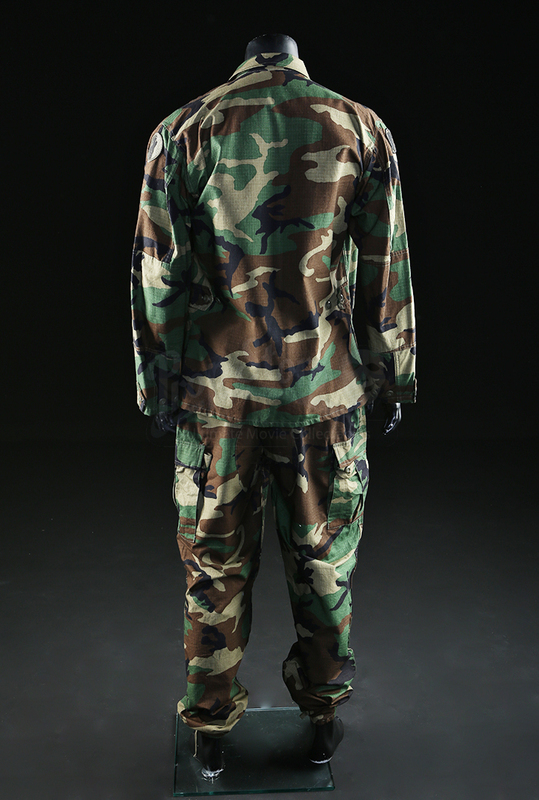 Brenner wears his camouflage uniform in the beginning of the film when he's undercover as First Sergeant Frank White. 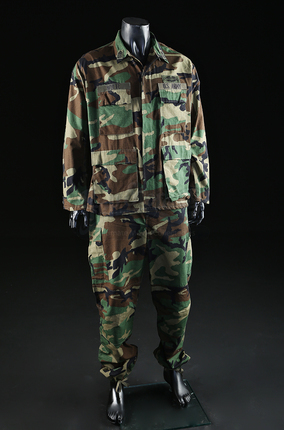 The green and brown camouflaged costume consists of a shirt and pants both sized extra large (XL). 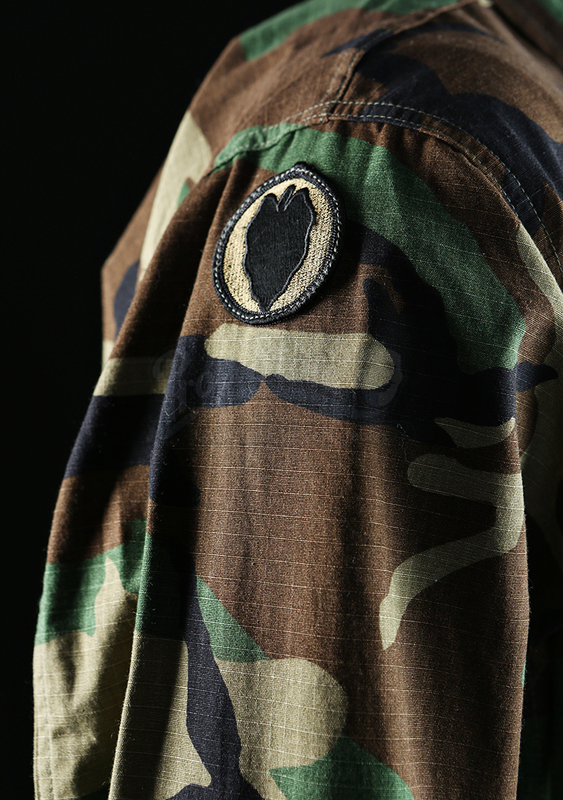 The shirt has various patches on the arms and chest, including a name patch and a 'U.S. 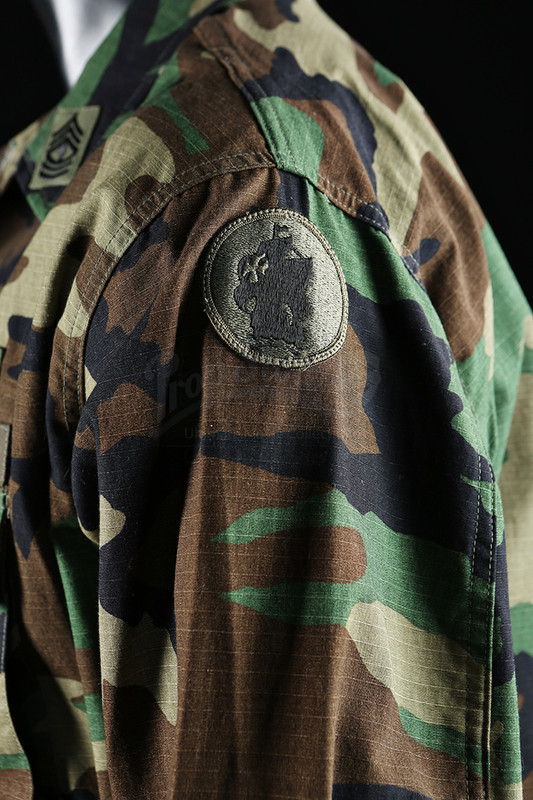 Army' patch. 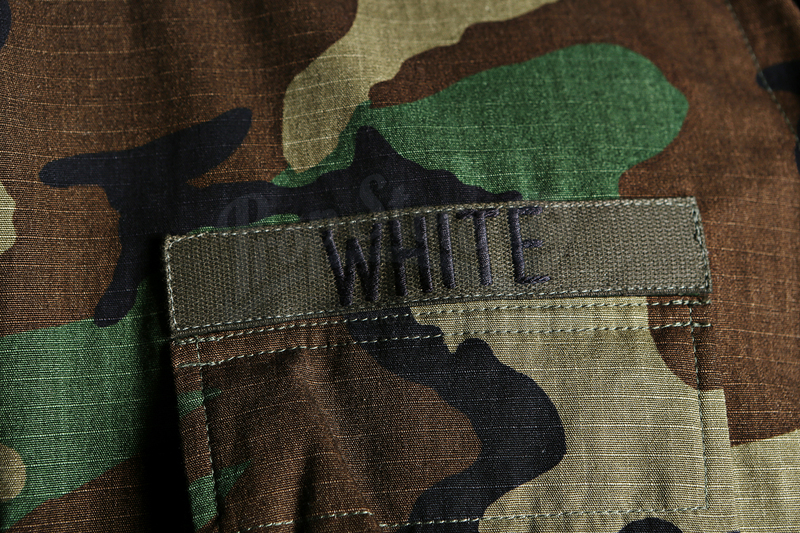 Both the shirt and pants have the name 'White' handwritten onto the labels. Showing minimal wear, all components remain in very good condition.